Europe currently is the oldest continent in the world and its population is still ageing. This demographic shift affects society, economy, and welfare states. Scholars from various disciplines and the public noted this development and wonder what effects it may have, but lack adequate information. They call for explanations that are concise and easily accessible. The book at hand fills this lacuna. 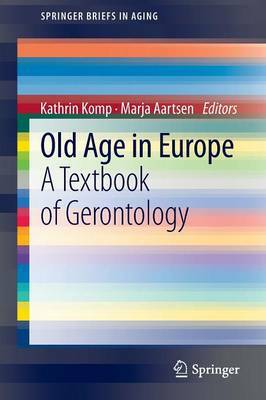 It introduces readers to the most important developments, theories, concepts, and discussions in ageing studies - always keeping an eye on the current situation in Europe. Each chapter adopts the perspective of a different discipline, e.g. public health, sociology, economics, or technology. To make the explanations easy to understand, the book includes learning tools such as learning objectives, multiple choice questions, and a glossary.